There are certain children’s books that have become staples around our home. We read them year after year, and sometimes week after week! Of these, my absolute favorites are the ones that are faith-centered and point my kids to Christ. There are actually many wonderful resources available to help our kids connect with God’s story, and with Christmas coming up, many parents are looking for a “something to read” option to give to their children and many grandparents are looking for ways to encourage precious grandchildren in their faith. The Berenstain Bears have a series of picture books especially for Christian kids. These books are published by ZonderKidz and teach character lessons and biblical principles. If you’d like to find their Christian series, you can search “Berenstain Bears/Living Lights” on Amazon, or click below! This is a folktale about three trees, their hopes and dreams, and how their “lives” intersect with the story of Christ. It’s a simple, fictional book, but I cannot get through it without crying every time (and we have the board book version)! My kids don’t know what to do with me. Suffice it to say, it is a touching story that makes you reflect on the significance of Christ’s coming. I highly recommend it. I’ve always loved the sweet message of this book by Max Lucado. It teaches that our identity and worth come form Christ, not from what others think of us. I am passionate about helping my children know God. These children’s Bibles and storybooks are my favorite for helping them connect with God’s word in an age-appropriate way. This Bible storybook set is geared towards children ages 1-5. I am amazed how effective it is at reaching my young children! Even my three year old connects with these stories. She is learning truths about God, and I love it! This Bible Storybook is appropriate for children ages 5+ I would say. It puts the Bible stories into poignant language and draws out truth in a profound way. Sally Lloyd-Jones does a wonderful job showing Christ in every story in the Bible, Old and New Testament. Many of my friends love this Bible storybook as well! It is a household staple in my opinion. This book makes an amazing connection between the garden of Eden, the temple, and heaven. It helped clarify that connection for me as well! This book illustrates the beauty in the diversity God created. It was His very good idea –not a mistake! I believe in getting copies of the full Bible into children’s hands as soon as they are old enough to read. What a treasure God’s word is! This is the Bible we decided on for our oldest daughter when she started reading. She has really taken to it! I love seeing her dive in. This Bible is not paraphrased, but it is put into simple vocabulary. It was originally created for the deaf, and since sign language has fewer words, it also became a useful print version for those with a simple vocabulary (i.e. young children, English learners, etc). This version is definitely accessible to our lower-elementary student. We have been very happy with it! Like the Easy-to-Read version, the International Children’s Bible is not a storybook nor paraphrased. It is a direct translation of the original scriptures into simple language. Offering our children a Bible in simple language removes huge barriers for them. I think that’s important! Here are a couple of the cover choices ICB offers. After my daughter’s Easy-to-Read Children’s Bible fell apart (she is hard on her books, but it’s because she uses them! ), we bought her the Kids’ Quest Study Bible. She has loved reading all the extra study information. In fact, the kid-appropriate study helps and cultural notes are an access point for her to explore God’s word more! We like this one. Here are a few of the cover choices available. I’ve found that devotionals are a great way to facilitate spiritual discussions as a family. Here are a few that I recommend! This devotional guide teaches scripture memory, character qualities, and includes over 100 devotions. It is more than a devotional, but also a family discipleship tool. It was created by Clay Clarkson (husband to Sally Clarkson and co-founder of Whole Heart Ministries), and would be a great addition to (or beginning for) your family devotional time! This devotional covers systematic theology. It starts with the basic truths of the Bible and builds on them brick by brick. It explores what scripture has to say about many points, including these: God created the world, we sinned, our sin separated us from God, Christ made a way back, etc. It also cover the character of God. I have been enjoying reading devotional this nightly with my 7-year-old. It has been a good discipleship tool and covers a lot of territory! Each day’s reading includes quite a few scripture references we can look up together (maybe 6 or so). This devotional by Louis Giglio illustrates the link between nature/science and God. It is perfect for kids who are interested in Science (and really, aren’t we all?)! Although the Chronicles of Narnia is a fictional series, I find that the spiritual allegories promote spiritual conversations. I love knowing that the author was a devoted Christ-follower. These are the types of books I love to read aloud to my children. Little House on the Prairie is a well-known historical series about a pioneer family, told through the eyes of daughter Laura. What I love most is that this family knows God and holds fast to His truth. They trust Him in hard situations and experience His provision. They live faith and diligence. I love how this series points my kids back to God and beautiful, subtle ways. Those are some of my favorites! 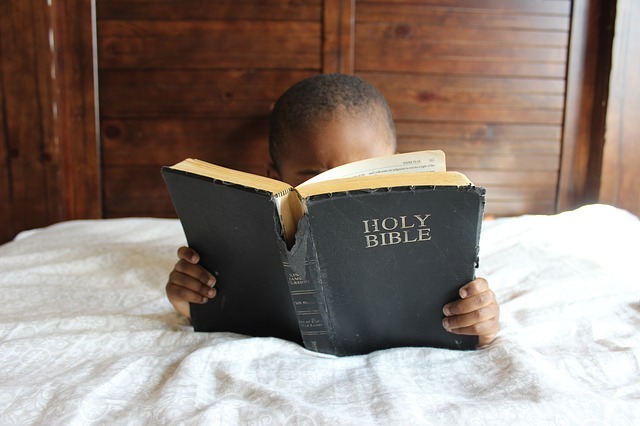 What are your favorite books to help kids grow in their faith? Also check out My Favorite Christmas Books for Kids! 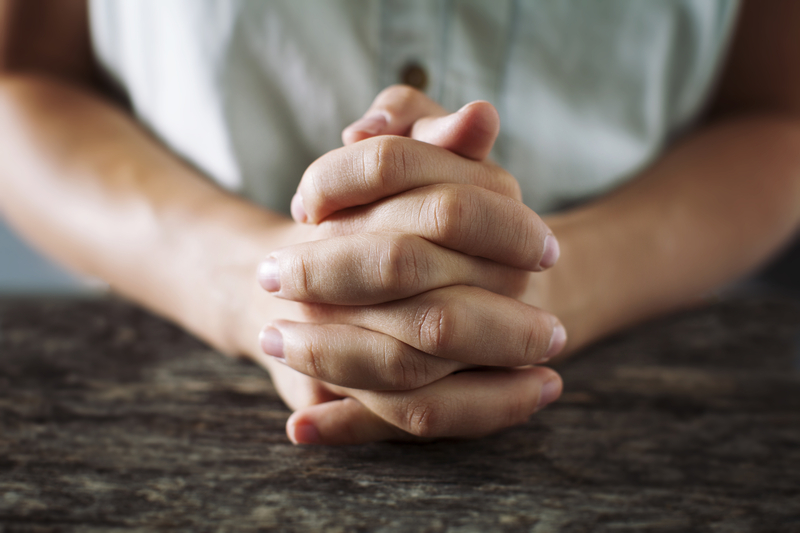 Read Your Bible, Pray Everyday — More Easily Said Than Done?